£100 breakages deposit, refundable after inspection. 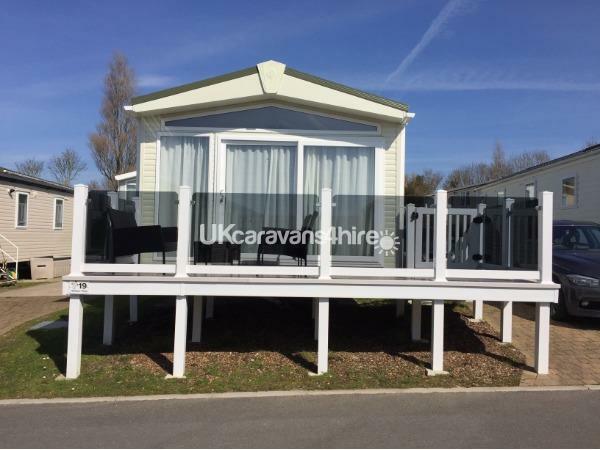 Our caravan, ‘Platinum with Decking’ rated by Haven, is a modern Pemberton Caravan on Harbour View at Rockley Park, Poole. 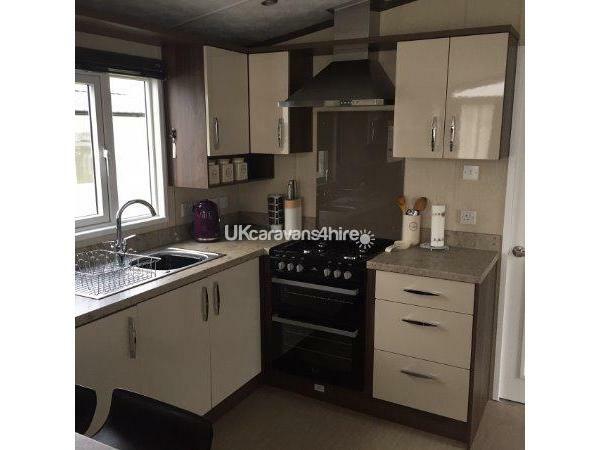 With it's a fully equipped home from home residential spec, a full kitchen including breakfast bar, integrated washing machine/tumble dryer, integral microwave, full size oven and American style fridge/freezer. 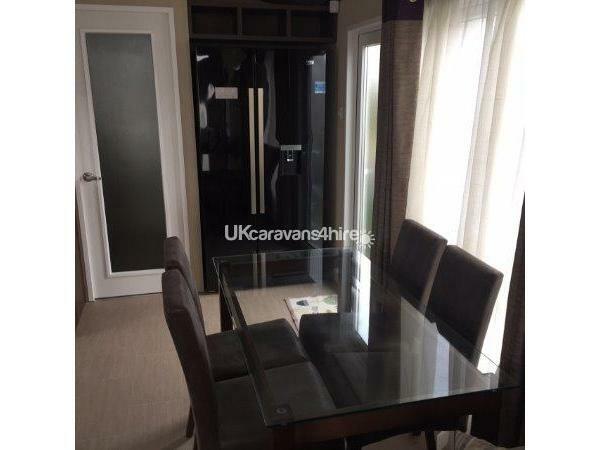 A separate dining room area for those lovely family meals. 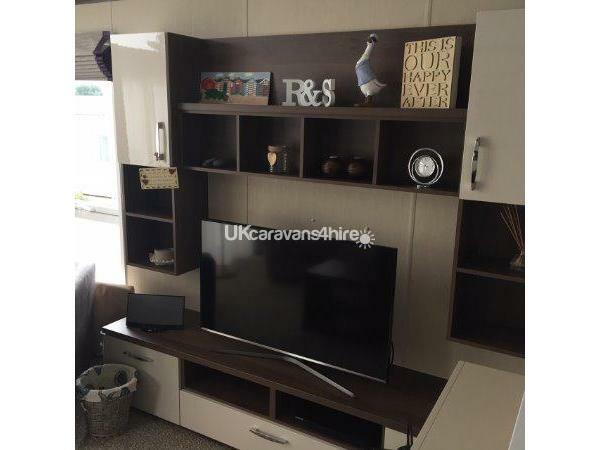 The lounge has a DVD player, free standing 43” LCD Smart TV, Bose I-pod docking station and flame effect electric fire. A corner style sofa with a separate leather style arm chair. 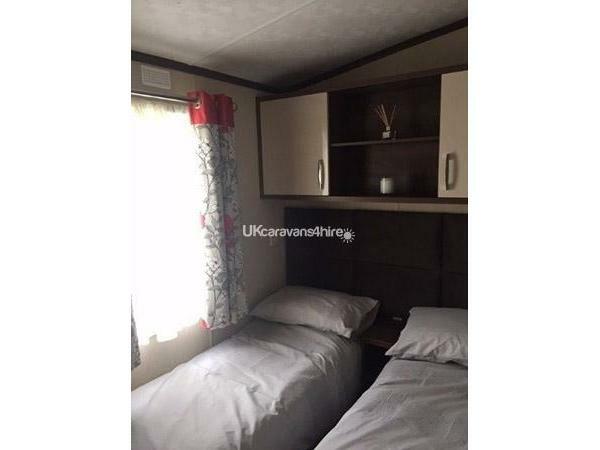 There are two bedrooms the Master has a king size bed, free standing 32” TV, large walk-in wardrobe and bed side tables. 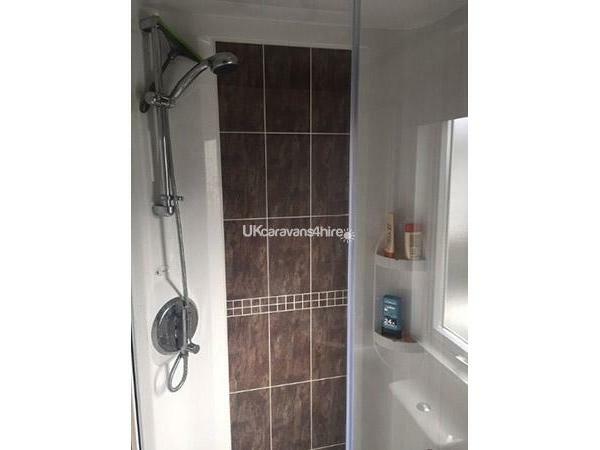 It has an en-suite bathroom, with toilet, bath, sink basin and shower. 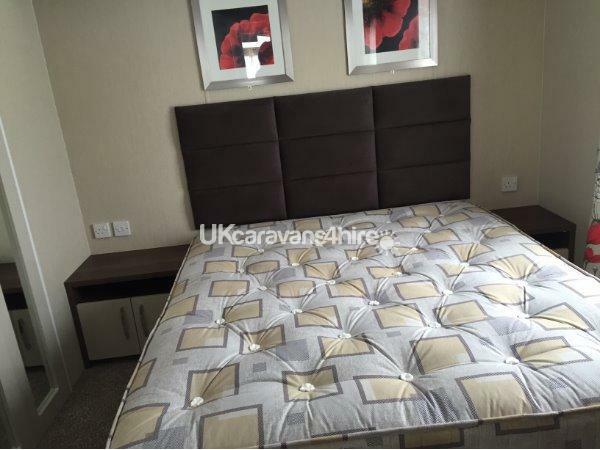 The second bedroom has 2 singles beds, double wardrobe with storage space over the beds and a wall mounted TV. 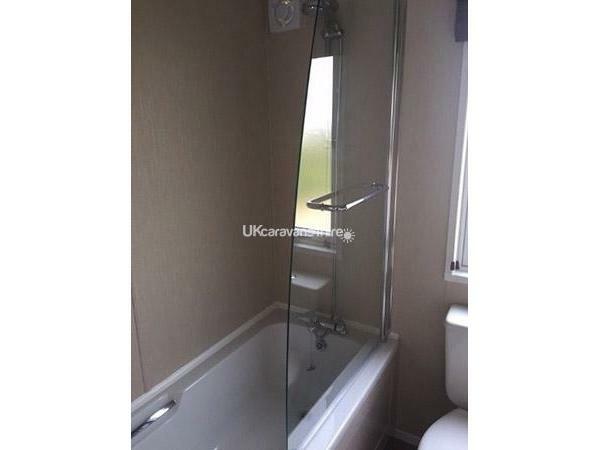 The second bathroom is opposite and has a contemporary styled toilet, sink basin and shower. 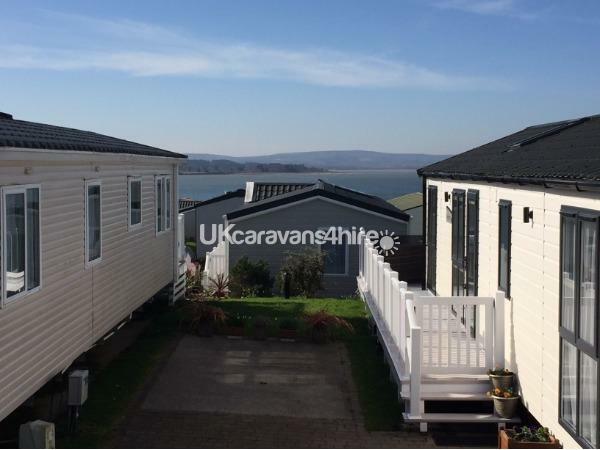 Our caravan is situated on Harbour View, a select part of Rockley Park where the sea view from the caravan and veranda is amazing to soak up the relaxing atmosphere with a cup of tea, beer or glass of wine. Patio furniture is provided. Please remember, this is a Non-Smoking caravan. Gas and electricity included. Bed linen will be provided, but you will need to provide shower mats, towels and tea towels. Bookings can be made from Fri - Mon, Fri-Fri, Mon-Fri, please e-mail or phone for details. 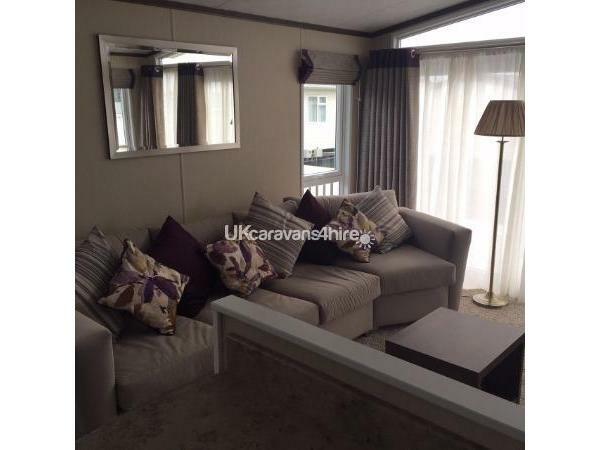 Our caravan is available from early April to end-October and you can gain access at 3pm sometimes sooner if requested. You must leave by 10am on the day of departure. Funworks passes are not provided but can be purchased from Reception upon arrival. The passes will provide you access to the pools, bars, and entertainment areas within the park. 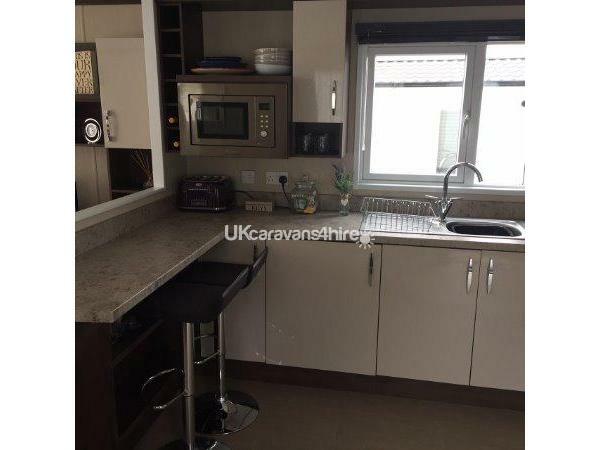 We will require £100 breakages deposit to be paid and will be refunded as soon as the caravan is inspected after departure.